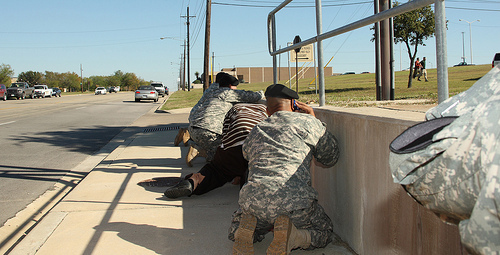 Soldiers and civilians take cover during the shooting. US Army photo by Jeramie Sivley. The life of James “Nick” Rowe left a legacy within the United States military that impacted how modern-day forces train, in part, because he survived as a prisoner of war during the Vietnam War. Today, pilots and Special Forces personnel endure rigorous training that Rowe helped define. It was Rowe’s survival and escape from enemy captivity that laid the foundation for decades to come. Rowe resisted enemy attempts at extracting information and successfully escaped captivity with honor.